“Following the work of the Holy Spirit” means understanding the will of God today, being able to act in accordance with the present requirements of God, being able to obey and follow the God of today, and entering in accordance with the newest utterances of God. Only this is someone who follows the work of the Holy Spirit and is in the stream of the Holy Spirit. Such people are not only capable of receiving God’s praise and seeing God, but can also know God’s disposition from the latest work of God, and can know man’s conceptions and disobedience, and man’s nature and substance, from His latest work; furthermore, they are able to gradually achieve changes in their disposition during their service. Only people such as this are those who are able to gain God, and who have genuinely found the true way. Those who are eliminated by the work of the Holy Spirit are people who are incapable of following the latest work of God, and who rebel against the latest work of God. That such people openly oppose God is because God has done new work, and because the image of God is not the same as that in their conceptions—as a result of which they openly oppose God and pass judgment upon God, leading to their loathing and rejection by God. Possessing the knowledge of the latest work of God is no easy matter, but if people have a mind to obey the work of God and seek the work of God, then they will have the chance to see God, and will have the chance to gain the newest guidance of the Holy Spirit. Those who intentionally oppose the work of God cannot receive the enlightenment of the Holy Spirit or the guidance of God. Thus, whether or not people can receive the latest work of God depends on the grace of God, it depends on their pursuit, and it depends on their intentions. All who are able to obey the present utterances of the Holy Spirit are blessed. It does not matter how they used to be, or how the Holy Spirit used to work within them—those who have gained the latest work are the most blessed, and those who are unable to follow the latest work today are eliminated. God wants those who are able to accept the new light, and He wants those who accept and know His latest work. Why is it said that you must be a chaste virgin? A chaste virgin is able to seek the work of the Holy Spirit and understand the new things, and moreover, able to put aside old conceptions, and obey the work of God today. This group of people, who accept the newest work of today, were predestined by God before the ages, and are the most blessed of people. You hear the voice of God directly, and behold the appearance of God, and so, throughout heaven and earth, and throughout the ages, none have been more blessed than you, this group of people. When you have experienced each step of the work of God incarnate in the Age of Kingdom, you will feel that the hopes of many years have finally been realized. You will feel that only now have you truly seen God face-to-face; only now have you gazed upon the face of God, heard the personal utterance of God, appreciated the wisdom of God’s work, and truly sensed how real and almighty God is. You will sense that you have gained many things that people of times past have never seen or possessed. At this time, you will clearly know what it is to believe in God, and what it is to be after God’s heart. Of course, if you cling to views of the past, and reject or deny the fact of the second incarnation of God, then you shall remain empty-handed and acquire nothing, and ultimately be guilty of opposing God. Those who obey the truth and submit to the work of God shall come under the name of the second incarnate God—the Almighty. They will be able to accept the personal guidance of God, and shall acquire more and higher truth and receive the real human life. They shall behold the vision that people of the past have never seen: “And I turned to see the voice that spoke with me. And being turned, I saw seven golden candlesticks; And in the middle of the seven candlesticks one like to the Son of man, clothed with a garment down to the foot, and girt about the breasts with a golden girdle. His head and His hairs were white like wool, as white as snow; and His eyes were as a flame of fire; And His feet like to fine brass, as if they burned in a furnace; and His voice as the sound of many waters. And He had in His right hand seven stars: and out of His mouth went a sharp two edged sword: and His countenance was as the sun shines in its strength” (Revelation 1:12–16). This vision is the expression of God’s entire disposition, and such an expression of His entire disposition is also the expression of the work of God when He becomes flesh this time. In the torrents of chastisements and judgments, the Son of man expresses His inherent disposition through the speaking of words, allowing all those who accept His chastisement and judgment to see the true face of the Son of man, a face that is a faithful depiction of the face of the Son of man seen by John. (Of course, all this will be invisible to those who do not accept the work of God in the Age of Kingdom.) The true face of God cannot be fully articulated using the words of man, and so God uses the expression of His inherent disposition to show His true face to man. Which is to say that all those who have experienced the inherent disposition of the Son of man have seen the true face of the Son of man, for God is too great and cannot be fully articulated using the words of man. Once man has experienced each step of God’s work in the Age of Kingdom, then he shall know the true meaning of John’s words when he spoke of the Son of man among the lampstands: “His head and His hairs were white like wool, as white as snow; and His eyes were as a flame of fire; And His feet like to fine brass, as if they burned in a furnace; and His voice as the sound of many waters. And He had in His right hand seven stars: and out of His mouth went a sharp two edged sword: and His countenance was as the sun shines in its strength.” At that time, you shall know beyond all doubt that this ordinary flesh that has spoken so many words is really the second incarnate God. And you shall truly sense how blessed you are, and feel yourself the most fortunate. Would you be unwilling to accept this blessing? In the last days, God is incarnated and descends secretly among humans to utter and speak, performing the work of judgment beginning from the house of God, purifying and perfecting all those who hear His voice and return before His throne and making them into a group of overcomers. Then God brings about the great disaster, refining and chastising all those who don’t accept God’s judgment of the last days. Afterward, God shall descend with the clouds to openly appear before all men. That would then completely fulfill the prophecy in Revelation 1:7: “Behold, He comes with clouds; and every eye shall see Him, and they also which pierced Him: and all kindreds of the earth shall wail because of Him.” When the Lord descends with the clouds, those who pierced Him can still see Him? Just who are the people who pierced Him? Some say it’s those who nailed the Lord Jesus to the cross. Is that really the case? Weren’t the people who crucified the Lord Jesus cursed and destroyed by God long ago? In reality, those who pierced Him are those who, during the period in which God incarnate has descended in secret in the last days to work, do not seek God’s voice and condemn and resist Almighty God. At that time, they will see the Almighty God that they have resisted and condemned is precisely the Savior Jesus they have been desperately awaiting all these years. They shall beat their chests, weep and gnash their teeth, and their outcome can only be punishment. The Book of Revelation does not say whether such people will live or die in the end, so we cannot possibly know. Only God knows. We should be clear: Only the wise virgins who hear God’s voice can have the opportunity to welcome the return of the Lord, be brought before God’s throne to attend the marriage supper of the Lamb, and be perfected by God into an overcomer. This fulfills the prophecy in Revelation 14:4, “These are they which were not defiled with women; for they are virgins. These are they which follow the Lamb wherever He goes. These were redeemed from among men, being the first fruits to God and to the Lamb.” As for those who only hold on to the notion that the Lord will descend with the clouds but don’t seek and investigate God’s work of the last days, they are considered the foolish virgins. Especially those who furiously resist and condemn Almighty God, they are the Pharisees and antichrists exposed by God’s work in the last days. They are all people who have re-crucified God. All these people shall fall into the great disasters and receive punishment. 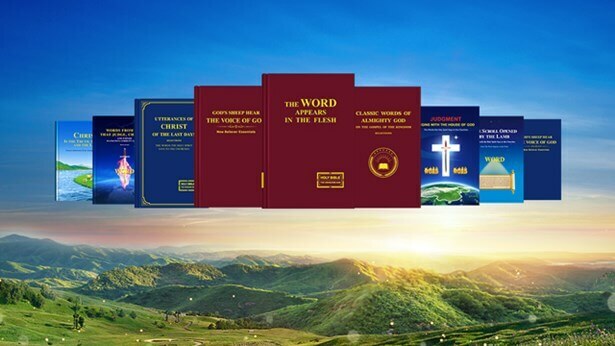 Today God’s word has been spread and borne testimony to, and you are the first group of people from all nations, from all regions to accept Almighty God’s work of the last days. You are the most blessed. … First, you have accepted Almighty God’s work of the last days because you have seen that the Lord Jesus has returned, that He has incarnated as the Son of man, expressing the truth and doing His work of judgment in the last days. So your acceptance means you have been raptured, you have been raptured up before God. You have been lifted up into the air to meet with the Lord. What does this “air” mean? Spreading the gospel to gain people and speaking online, isn’t that “in the air”? Where is “the air”? “The air” is a metaphor, and it represents the question of whether we’re in heaven or on earth. Most literally speaking, we are on earth, but we enjoy a life alongside God and we eat and drink of God’s word, which is the water of the river of life that flows from the throne, so we live as though we were in the third heaven. According to its actual significance, where are we? Are we in heaven, or on the earth? It’s hard to say, so we use “in the air” to describe it. Today, you have been raptured before God’s throne to feast with the Lamb, which is feasting with God. Second, you have gained the opportunity to be perfected by God in the last days. If you are purified and perfected through judgment and chastisement before the seat of Christ, you will be qualified to gain the approval of God. What an enormous blessing! We have attained what the saints throughout the ages longed for but most of them failed to attain. Are we not the most fortunate? Third, we are undergoing God’s chastisement and judgment, being pruned and dealt with, and chastened and disciplined. Even though we suffer a bit within our hearts and it might feel embarrassing at first, in the end we will attain something. That is, we will achieve the outcome of being purified, of understanding the truth and knowing God. Even though when we are chastened we set aside our dignity and our face, prostrating ourselves and weeping bitterly, confessing our sins and repenting, yet after undergoing a period of such refinement, we begin to live out a real human likeness. We become more and more reasonable, our conscience awakens, our spirits are brightened, and we see God. We become totally certain of this path, and our way becomes brighter and brighter until finally we set ourselves upon the path to becoming perfected and we become overcomers. What does it mean to become overcomers? It means not undergoing the suffering of the great disaster; when it comes, “A thousand shall fall at your side, and ten thousand at your right hand; but it shall not come near you” (Psm 91:7). Is this not a great blessing? The unbelievers and the religious people will fall into the disaster, and while we may appear to be in the midst of disaster ourselves, God is with us, so disaster will not befall us. If you have really gained the truth, I tell you, you will not taste death. These words are true. God’s promise for the last days, the greatest blessings, will be fulfilled upon us. Previous：What are the wise virgins? What are the foolish virgins? What is the difference between understanding the truth and understanding doctrine? … Truly understanding God’s word occurs when you practice the truth, and you must understand that “only by practicing the truth can it ever be understood.” ...Just because you have a skin-deep knowledge of the truth doesn’t mean you actually understand it or recognize it; the true meaning of the truth comes from having experienced it. Therefore, only when you experience the truth can you understand it, and only when you experience the truth can you grasp the hidden parts of it. To experience it in depth is the only way to grasp the connotations of the truth, to understand the essence of it.